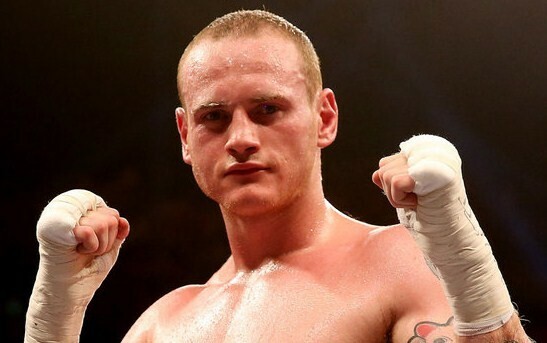 George Groves (pictured) has today due to personal reasons relinquished the EBU supermiddleweight title and in the first message from the EBU on the subject they state that mandatory challenger Hadillah Mohummadi will fight the highest available boxer. Later on today the EBU sent out statement that says that Spaniard Mariano Hilario, reigning EU champ, had accepted to fight Mohummadi and the parties involved reached a quick agreement and the fight goes ahead December 20 in St Quentin (France) on a show put on by Etoile Verte Production. Hilario has in accordance with the rules lost the EU title. Hilario’s mandatory challenger was former WBC ruler Cristian Sanavia, and he will now fight the highest available challenger. Hungarian Felix Promotion, headed by Felix Racz, have two big shows lined up for November and December. On November 15 in Tatabanya WBO # 11 Attila Kovacs will defend the national superwelter title. In the co-feature supermiddle Balasz Kelemen, WBO # 7, will also defend the Hungarian title. Also on the bill are cruiser Imre Szello (2-0) and lightheavy Richard Baranyi (8-0). On December 6 in Budapest superbantam Zsolt Bedak (22-1) will fight for the WBO interim title against an opponent to be named soon. Bedak’s only loss came in 2010 when challenged then WBO champ Wilfredo Vazquez and was stopped in ten. The shows are televised live in Hungary by M1. Mikkel Kessler is telling Danish media today he’s tired of waiting for the big fights and is hinting at retirement. Kessler announced about six months ago he wanted to comeback but he also made it very clear he was only interested in the really big names such as Andre Ward or Carl Froch. There has apparently been talks with the various parties but this far nothing has materialized. As late as four days ago promoter Kalle Sauerland told BT that he had been in negotiations in New York and that a deal was close but wouldn’t go into details. The 35-year old Kessler (46-3) last fought in May of 2013 losing a unanimous decision to Carl Froch.